A 14:30 departure means afternoon tea; three finger sandwiches or ploughman's salad, both with a slice of cake. The ploughman's also comes with a packaged slice of bread. Oh great . First time for everything. Can't even make it a Champagne afternoon tea! Thinking ahead for 2018 , are we likely to see any changes or generally good enhancements - or is it a wait and see type of thing ...? You can order a special meal. A Muslim meal, for example, would get you a salad with the same slice of cake. Champagne is available on all Club Europe flights, regardless of the time of day. Genius1, LCSinTexas and S_W_S like this. I had the plastic lid left on both the cheese and the dessert coming back from ATH earlier this week. I handed the two lids straight back to the crew member. Despite the terrible unappetising presentation, it was fairly tasty and filling. A much better alternative to the three finger sandwiches. It'll be hard to remember not to order champagne onboard that day! Ha ha, the generic BA one-of-three SPML strikes again... Seriously getting bored of this now. Shambles on a flight medium band into LGW last night. Won't post specifics as don't want to wrongly accuse anyone but two trays (I believe the salad) were dropped at the beginning of the service. It appeared as if at least some aspects were being repurposed as I saw individual pieces being moved around between trays. Don't want to make any false accusations or anything, but would be very upset if that was the case as both of the dropped trays were totally upside down on the floor (before the plastic had been taken off FWIW). 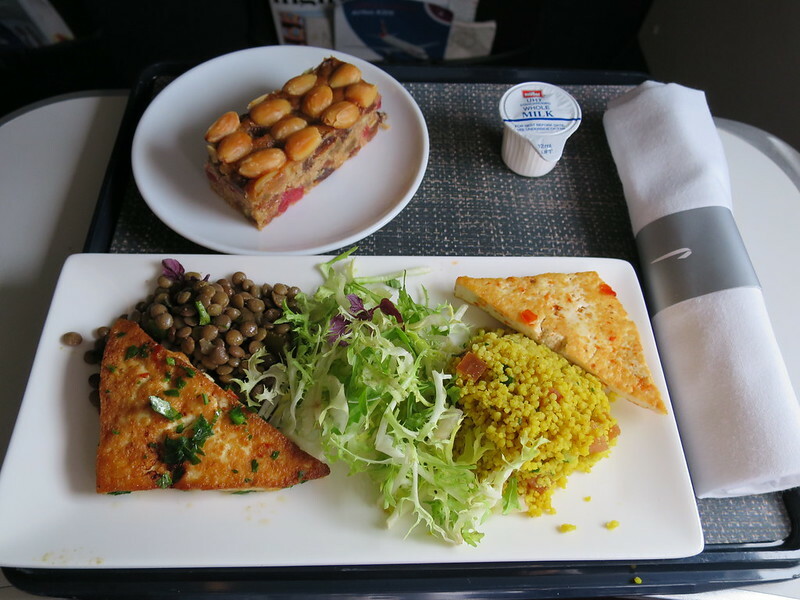 Of course, if BA properly stocked flights any issue of necessitating 'reusing' food would be avoided, but I digress. Croque monsieur or salmon salad. Won't post a picture as it's been posted many times, but I had the croque with the plastic pot of passionfruit and a lukewarm roll. Carbs on carbs on carbs. Funny how the sandwich was both soggy yet too difficult to cut in places. Sat in 1A and heard "no more croques" after I ordered... hmm... Salad also wasn't described beyond "salad." Neighbour's veggie meal looked like it cost about 65p. Diet coke and diet tonic both ran out less than halfway through the flight. Only positive of the experience were the friendly non-BA lounge staff and the Ciroc rather than Smirnoff. Usually enjoy CE FWIW but this was quite an all-around mess. Wow, it's so bad. I had a breakfast flight in CE recently and it was very good. 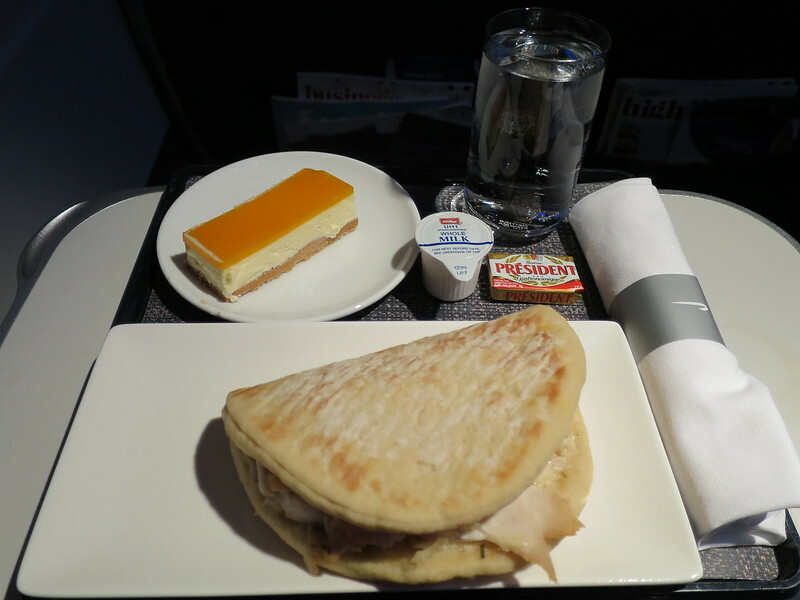 But I've seen food trays dropped on other flights with other carriers and there has been no problem replacing it, because there were enough spare supplies. 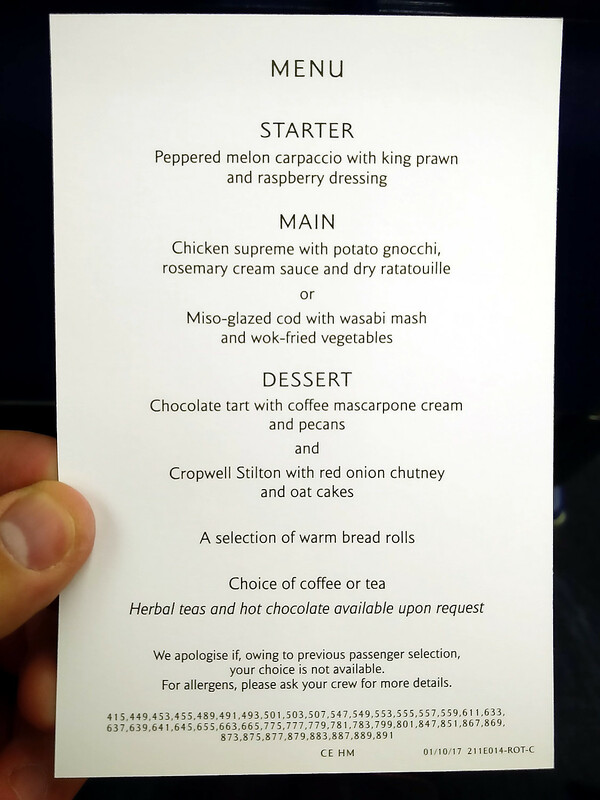 Bad idea to undercater to the extent BA does these days. I am sad to report that the domestic Kosher meal has been further enhanced (apparently). On a Midday GLA-LHR flight today it consisted of an undressed dry chicken salad. For the first time the standard meal looked better. Ah well, it was good while it lasted, but the Halibut and Salmon platter seems to be a dim and distant memory! (2) Can anyone share a current LHR-ATH menu? I ask because (as I think I've said in various catering-related threads before) my wife eats neither meat nor wheat and therefore none of the standard special meal options can be relied on to produce something edible. In this case, the fish option looks good so we might skip the special meal on that leg. We're travelling LHR-ATH on October 21st & returning on October 28th. The menus are on a monthly rotation, so this is the menu for October. I had the cod coming back from ATH at the start of the month; very good it was too. Have a look at post 1175 where all the rotations are worked out. Genius1 has got it right that it's chicken + red pepper risotto/beef cheeks, you would be looking at menus for April and July since they rotate every 3 months. Great shame. The KSML was the only saving grace among the medium band catering disgrace. I suspect that it probably became 'too popular' for the greedy BA accountants who thus decided to cut the budget for it till Hermiolis can't produce anything decent. Paradoxically, in a way, I would understand it if BA decided that they just want to offer a crummy CE product and then tough, but I find it absolutely baffling that they are clearly invest in trying to make the product better on some flights only to ruin their own efforts by making it so markedly worse on some other flights. The strategy just seems utterly incoherent to me.